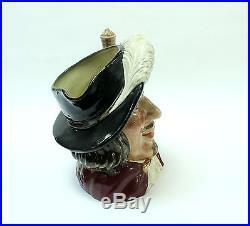 Royal Doulton A wonderful Royal Doulton large character Toby jug - "Porthos". 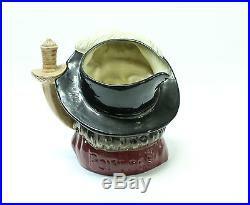 He has a black hat, red cloak, black hair and mustache with sword handle. 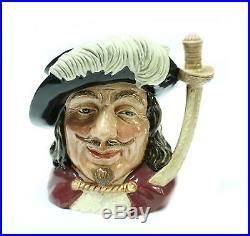 Series: Characters From Literature/The Three Musketeers, issued 1955 1991. Marked: Royal Doulton Made in England, Porthos, D6440 1955 Size: 8 1/4" tall, 4" diameter at top In very good condition, no cracks or chips. 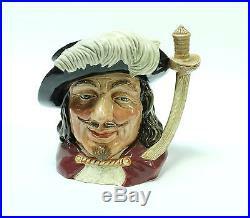 The item "Royal Doulton Large Toby Character Jug Porthos D6440 1955 Porcelain Stein Mug" is in sale since Tuesday, January 30, 2018. 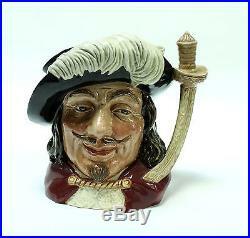 This item is in the category "Collectibles\Decorative Collectibles\Decorative Collectible Brands\Royal Doulton\Character, Toby Jugs".mall" and is located in Deerfield Beach, Florida.